Adjusting to breastfeeding can make any new mom feel waaaay out of her comfort zone. (If you have to Google “football hold” one more time…) But the right nursing pillow can certainly make it easier as you and your equally clueless counterpart get into a groove. Perfectly position your little one on a muslin-covered cloud, otherwise known as the new aden + anais nursing pillow. This must-have is supportive and plump, helping you feed with ease (especially at 2am when you can barely see straight). The removable cover (sold separately) is made of soft, breathable cotton muslin and comes in a variety of a + a signature prints. It’s machine washable and gets softer with each wash. 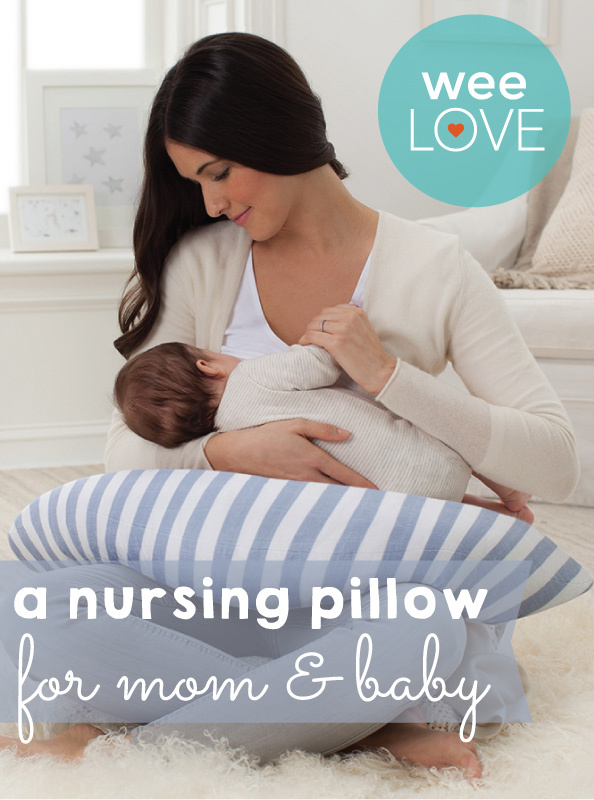 This cushy pillow isn’t just for feeding — use it when you’re pregnant for a better night sleep or to safely prop your little pal up for playtime.